The IBM 1130 (1965): "The first IBM computer to rent for less than $1000 a month." Intended for use by scientists, engineers, and mathematicians. One of the first computers to use removable magnetic disk storage (IBM 2314 removable disk cartridges, 1MB each). Programmed mainly in FORTRAN, also in COBOL, RPG, APL, and possibly Algol-60. 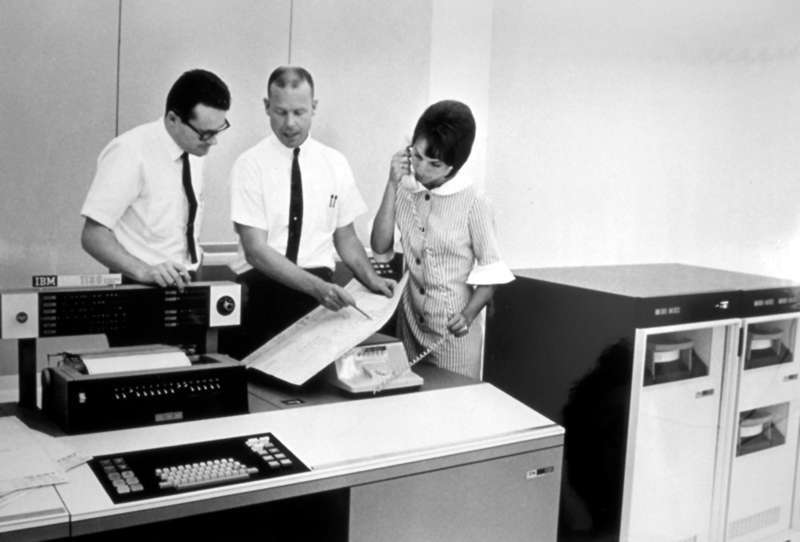 Primary user interface is punched cards or paper tape, but also supports interactive use via its integrated (keypunch-based) console keyboard or IBM 2250 Graphics Display Unit, with hardcopy to the IBM 1403 line printer or slower drum printer, or to the IBM 1627 hardcopy plotter. Memory size: 4-8K 16-bit words. 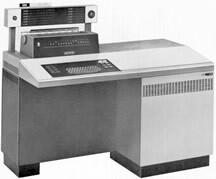 A followon model, the IBM 1800, was intended mainly for process control. The IBM 1130 was a testbed for the first graphical user interface (Alan Kay, The Reactive Engine , Ph.D. Thesis, University of Utah, 1969). At Columbia University, 1130s were installed in Watson Lab, Teachers College, and Lamont-Doherty Geological Observatory. The 1130s at TC and Lamont were connected with the Columbia mainframes as RJE stations. The Lamont connection was probably the first instance of long-haul computer networking at Columbia (December 1969). The Reactive Engine (Alan Kay, 1969).